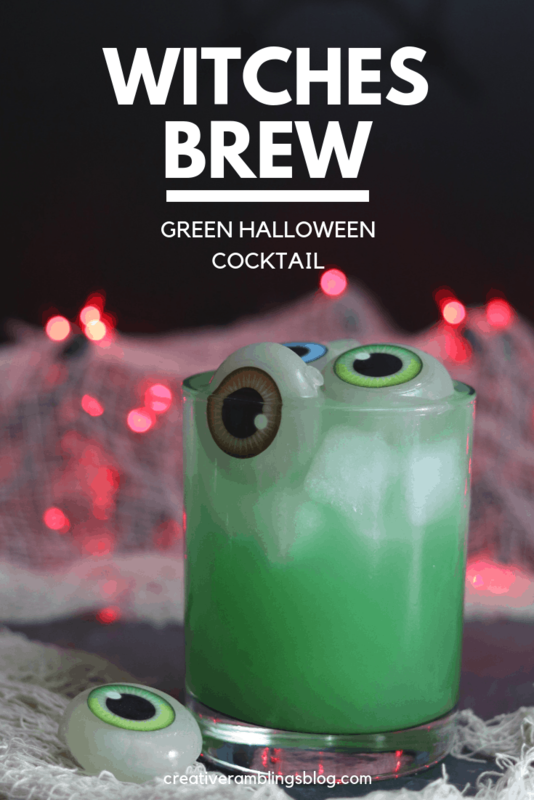 It’s time for the last installment of our fall cocktail series and we’re having fun today with Halloween drinks like this green witches brew Halloween cocktail. 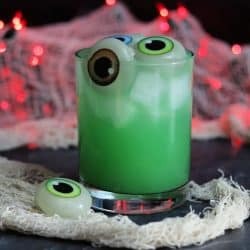 My friends have some amazing looking and delicious cocktails you are going to want to add to your Halloween party this year too. 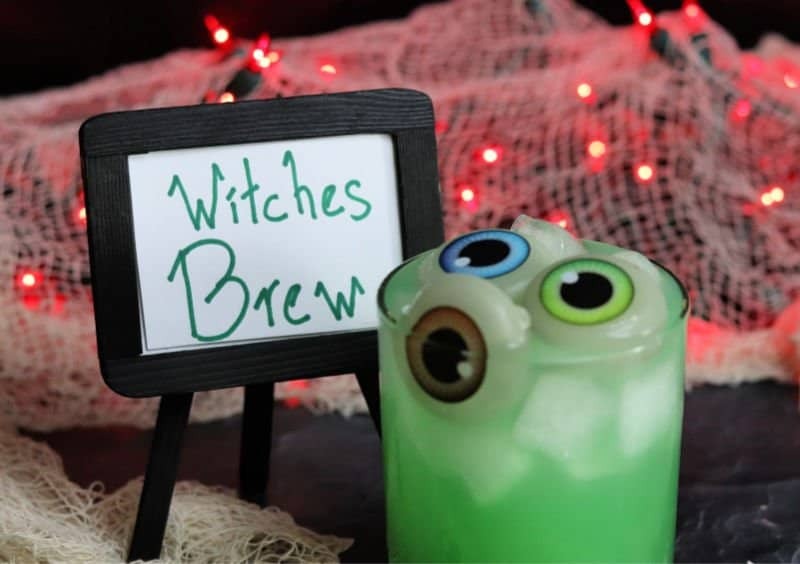 Check out how easy it is to make this witches brew and get ready for a spooky and tasty Halloween. Making a green witches brew is actually a really easy and familiar drink. I went back to grade school knowledge and did some color mixing to get a neon green look in this Halloween cocktail. The key to a bright green color is yellow pineapple juice and a dash of blue curacao. I played around with the proportions, and included them in the recipe below, until I achieved the perfect color of green. This cocktail is sweet and tropical while looking spooky for Halloween. To top it off I added a couple eyeball ice cubes. I thought about blood or worms or something gross to add to a witches brew but I didn’t think I’d be able to look at it and still enjoy it. So a few not so scary eye ball ice cubes did the trick. 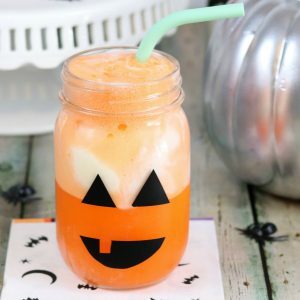 If you are hosting a Halloween party this is a great drink to make in a batch and serve a crowd. Start with a beverage dispenser and add vodka, pineapple juice and white soda to fill the container. I don’t use white soda when making a single serving but it will help you fill a large container and cut the sweetness a bit when serving a crowd. Then add blue curacao a little at a time until you achieve the perfect color of green. Leave a bucket of ice and eyeball ice cubes nearby and let guests serve themselves. 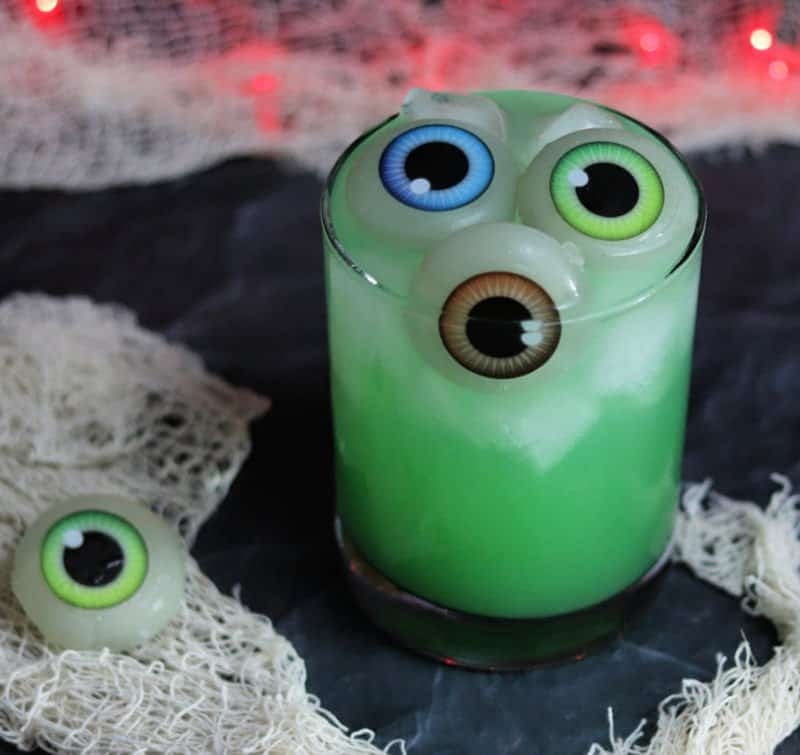 A fruity green cocktail perfect for a Halloween party. Make as a single drink or in a batch to serve a crowd. In a rocks glass filled with ice add vodka, pineapple juice and blue curacao and stir until mixed. Add a few eyeball ice cubes and enjoy! If you are looking for Halloween cocktail inspiration you’ve come to the right place. 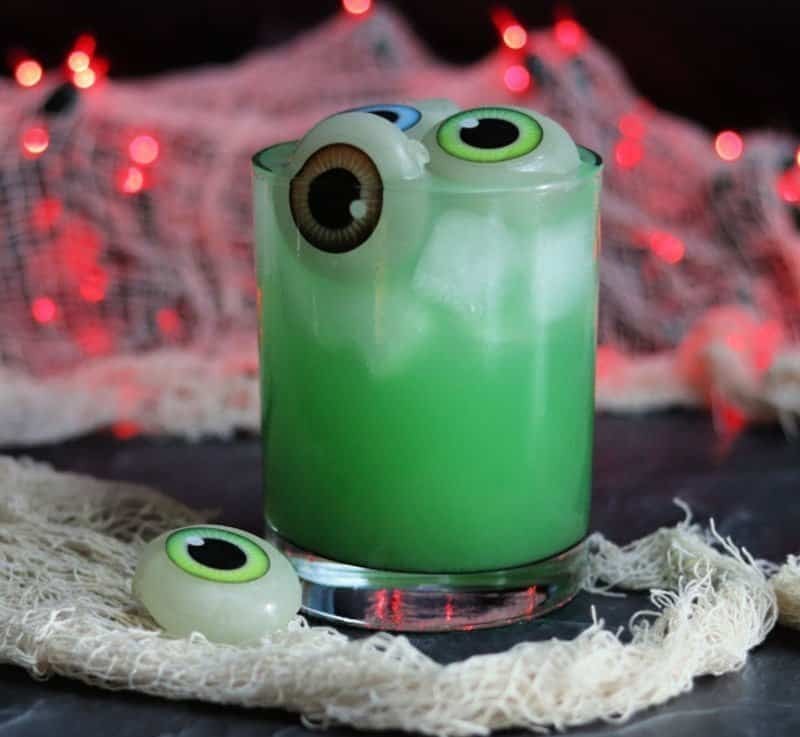 Check out these 10 Halloween drinks and get ready for a spooky holiday. Those eyeball ice cubes are so cool! You made the perfect shade of green & the recipe sounds delicious! This looks and sounds perfect to me! That is definitely the right “witches green”. Can’t wait to try it. This is awesome. I love the green and I really love the eyeballs! They add just the right spooky touch. What is white soda and wear I get those cool ice cube eyes?!?!? White soda is either Sprite or 7Up for me and these ice cubes can be found on Amazon or even Walmart while they have their Halloween stuff out.